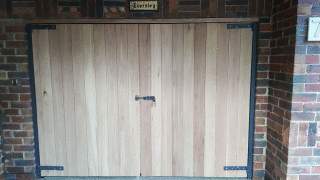 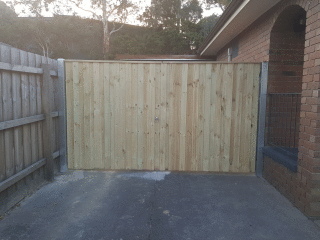 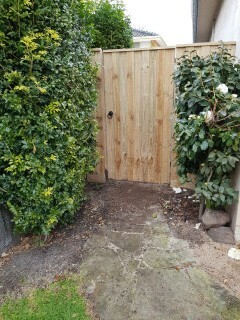 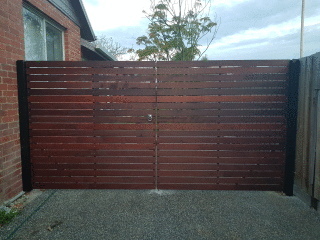 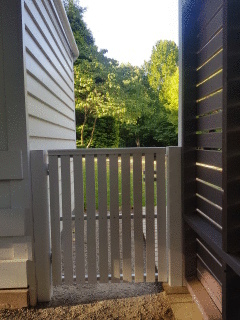 This is a galvanised steel gate frame with Treated Pine Palings and Capping in Malvern East. 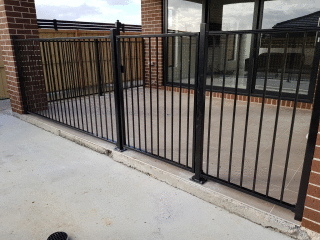 A Black ringlatch is included . 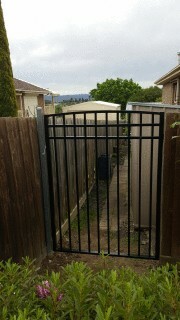 Ideal for security down the side of your home.